Be the first to share your favorite memory, photo or story of Loise. This memorial page is dedicated for family, friends and future generations to celebrate the life of their loved one. 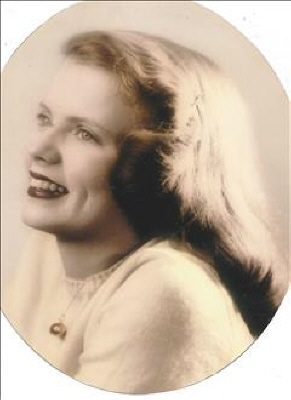 Loise Lynda McGuire, age 89 departed this life on Saturday April 6, 2019 at Elmwood Nursing Home. She was born in Wewoka, OK on December 6, 1929 to the late Elmer Staggs and Rosie B. Massey Staggs. She graduate from Wewoka High School in 1948 and was a homemaker. Loise married Travis "Mickey McGuire , May 5, 1973 . Her hobbies were working crossword puzzles, and going fishing with Travis. She enjoyed spending time with her family and friends. Preceding Loise in death are her parents, first husband George Rhodes; brothers Erdis Staggs, and Gene Staggs, one sister Frances Prewitt. Survivors include husband Mickey "Travis" McGuire; son George Nealon Rhodes and wife Karen of Ada, OK: daughter Judith Lynn Smith husband Rob of Muskogee, OK: step-children Mark McGuire and wife Judy of Oktaha, OK and Shelly Whitecotton and husband Joe of Earlsboro, OK eight grandchildren and seventeen great-grandchildren, and a host of other relatives and friends. Arrangements by Stout-Phillips Funeral Home. To send flowers or a remembrance gift to the family of Loise Lynda McGuire, please visit our Tribute Store. "Email Address" would like to share the life celebration of Loise Lynda McGuire. Click on the "link" to go to share a favorite memory or leave a condolence message for the family.